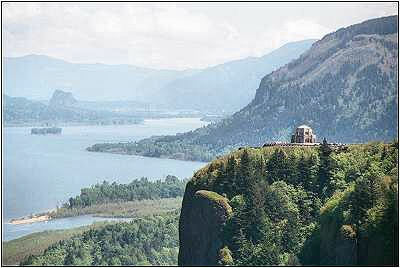 Crown Point from Women's Forum State Scenic Viewpoint on the Historic Columbia River Highway. Crown Point, a little closer-up. 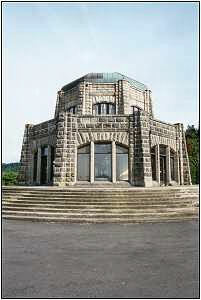 Vista House has seen many functions in the fifty years I have been going there: cafe, souvenir shop, historical display. Presently it houses a display about the building of the highway; soon it will be closed for a couple of years for a complete make-over. 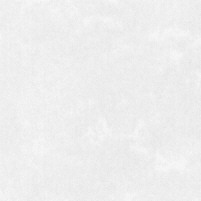 The weather up there is unbelievably hard on a building--wind, freezing, ice, snow, occasional earthquake, etc. It needs repair. 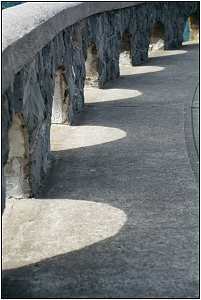 The railing on the right, typical of the Columbia Gorge Highway, is very artistically done, and built to last. 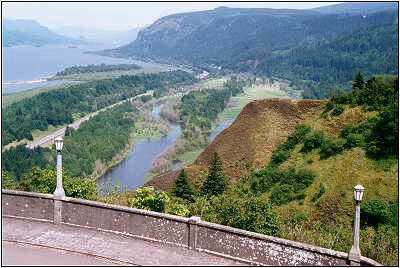 This one encircles the Vista House parking area. 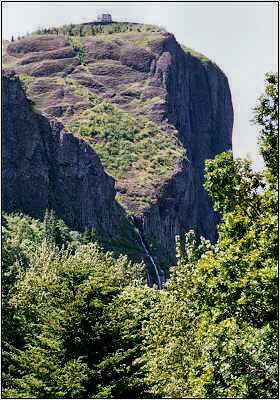 Below, the shot is to the east. 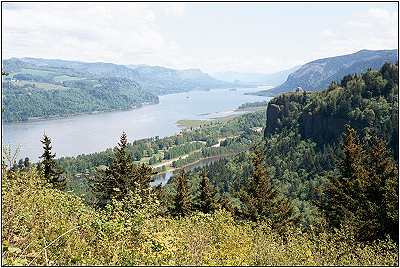 At certain spots the Columbia River Gorge is about 4,000 feet deep, but most places not nearly that. Its distinction comes not from its depth but from its beauty and uniqueness. 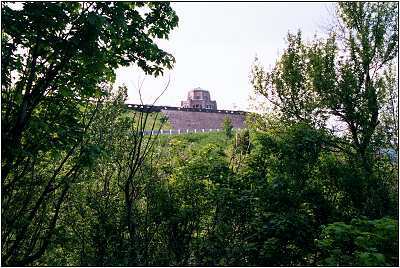 Vista House, approaching from the east. Yep. That's Vista House up there. 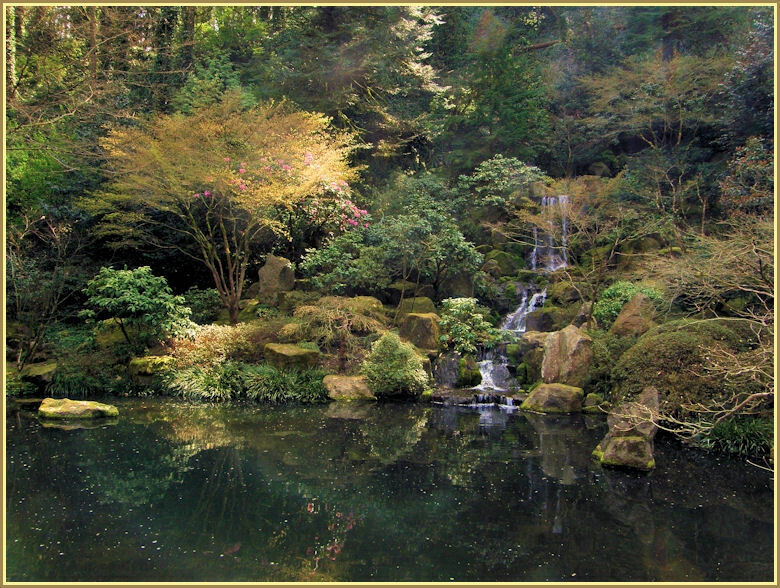 With an unnamed inaccessible seasonal waterfall below.